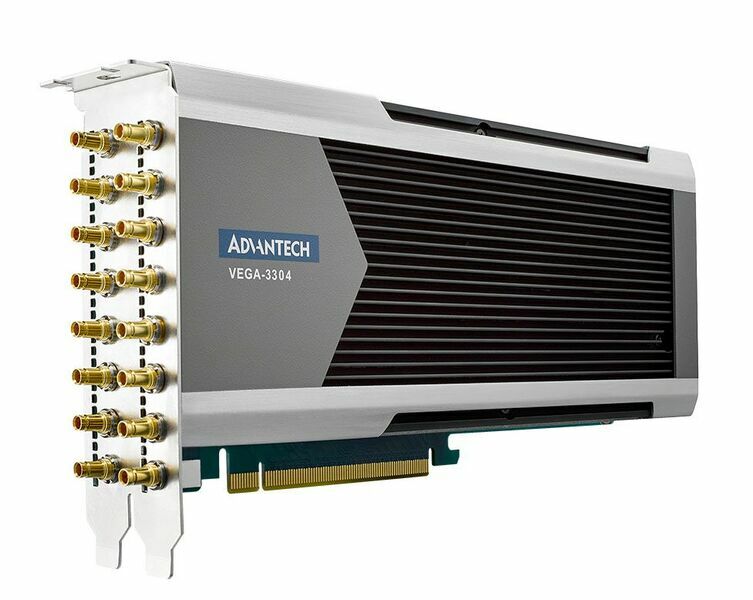 Taipei, April 17, 2018— Advantech Co, Ltd. (2395.TW), a global leader in IoT Intelligent systems, embedded systems and 4K/8K solutions, announced that its recently released 8K VEGA video encoder accelerator has successfully assisted Alibaba to complete the construction of an 8K Live Video Solution at the Yunqi Conference. The recent Alibaba Cloud Computing Yunqi Conference is the world’s top scientific and technological conference, covering new IoT and video cloud technology trends and blueprints, and it showcases the latest science and technology trends in cloud computing, big data, artificial intelligence, and more. 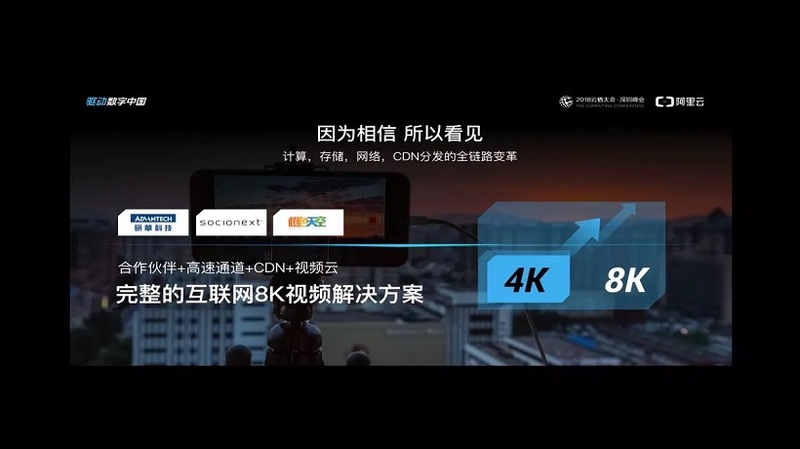 During this conference, with the incorporation of Advantech's world-leading 8K video solution, Alibaba Cloud made its first 8K live broadcast application, and by so doing became the first cloud computing service provider with 8K video transmission capability. Paul Luo named several niche markets as priorities in Greater China where VEGA UHD/4K and 8K products as follows: smart factories requiring machine vision, followed by transportation with needs such as license plate recognition, and a most exciting application in medical care, where high resolution video is proliferating in hospital operating rooms for better diagnosis of illness and documentation of customer records. Even social media companies are promoting high-definition video, and future data centers will also need high-definition imaging solutions. The 8K live broadcast innovation was powered by an Advantech VEGA-3304. It has an 8K instant encoding capability through an on-board video acquisition interface comprising of 16 SDI-3G terminations. The VEGA-3304 captures and encodes the camera signal to an HEVC stream, compressing 48 Gbit/s of raw video to less than 200 Mbit/s, uploads it to the Alibaba Cloud, then pushes it to the main venue in Shenzhen and a high-speed channel to achieve an 8K live broadcast. It does all this compression in a 65W power envelope. Advantech, together with other important partners in the industry, demonstrated AI image recognition, 8K 360 VR, 4K high-density cloud transcoding, a 4K portable video solution, 4K OB truck video transponder, 4K TV Media Over IP, and a video deep learning and training platform including 4K/8K ultra HD streaming media application at the CCBN exhibition in Beijing, China in March 2018. Advantech's determination and ability to continuously advance the industry has been recognized by important large-scale customers and partners around the world, not only in the broadcasting and TV, but also in various fields such as medical care, intelligent transportation, and all kinds of 4K/8K video applications. Brand Development & Public Relations Dept.